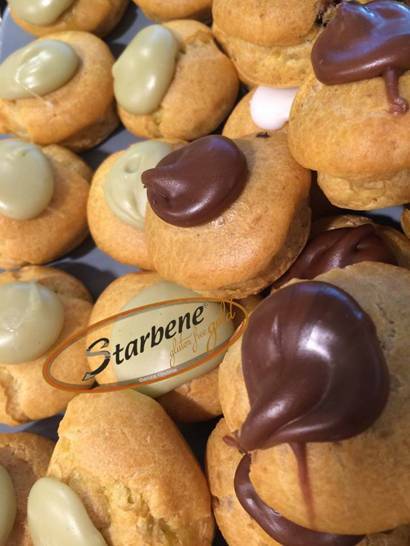 Starbene is a specialty food store in Florence Italy that serves only gluten free pastries. They have a range of gluten free options from pastries to sandwiches. I enjoyed a chocolate croissant that was delicious! I have never attempted to eat gluten free and was skeptical of this establishment but it turned out to be great! All of the food was made fresh and looked extremely enticing through the glass. When walking in the store you’re hit with a fantastic smell of pastries, sandwiches, and pizza. I can’t think of a better combination. The workers were extremely nice and very welcoming. The shop was busy and it looked like a lot of people enjoyed being there. They specifically offer food for breakfast, brunch, and lunch. Many seem to describe their food as gluten free comfort food. They have a fantastic range of gluten free options that would make anyone who has allergies very happy. They also offer vegan options for anyone who might be in that food category. Thankfully Starbene is located in a fantastic area at Via dei Neri, 13/r 50122 Firenze FL. I would highly recommend that everyone try this cute pastry shop whether you’re gluten free or not. It is delicious and well worth it. This entry was posted on Friday, March 29th, 2019 at 8:18 pm. It is filed under Florentine Foodie. You can follow any responses to this entry through the RSS 2.0 feed.